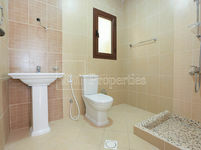 ANDALUSIAN VILLA FOR SALE 180,000 FULLY UPGRADED WITH SWIMMING POOL . If you are looking for premium residence in Dubai, you ought to consider checking the available villas for rent in Dubailand. Covering a huge area of 278 square kilometers, the project is a veritable grabber of tourists and visitors thanks to its multiple entertainment centers and recreational venues. The project is great urban expansion of Dubai, many residential communities are available featuring a wide variety of properties to meet all demands. In fact, the project was launched to stand as the city’s leading destination for residence and leisure. Besides housing projects, the community homes many shopping centers, cultural hubs, sports venues, parks, walkways, spas, and many other. Dubailand is classified into six themed zones, each zone is fully integrated having all needed facilities to ensure a comfortable life. The theme parks are master planned to contain 45 mega projects and 200 sub projects. Being the biggest amusement park in the world, Dubailand sounds definitely appealing for any tourist or resident of Dubai. It’s suitable for all segments of societies including singles, couples, families, in addition to all ages. The displayed villas for rent in Dubailand come in all sorts to fit different requirements. They range in size from two-bedroom to six-bedroom villas, they vary in location and number of amenities. Certain aspects are guaranteed in all Dubailand villas like privacy and ambience to ensure peaceful living for all households. It’s not hard anymore to find a villa to rent in Dubailand since Just Property features copious listings of all properties in the community displayed by professional agents. No matter what kind of villa you are looking for, you’ll definitely find between our lists of the thriving community of Dubailand. The project witnesses the launch of new projects invested by well-established real estate companies. All units in Dubailand maintain a high bar of living standards, they are well-suited for family living. This is obvious in the fancy architecture themes followed by the project developers which depict different styles like Mediterranean, Spanish, European, and other. The villas embrace advanced technology to provide total comfort to its inhabitants, some villas boast a set of amenities like private swimming pool, garden, spa, and other. Moreover, many Dubailand villas offer spectacular views either overlooking the massive golf course or other parks. 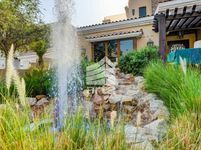 Living in a villa in Dubailand means enjoying a lot of perks like quality lifestyle, expanses of greeneries, availability of all needed facilities, and quick access to all areas around Dubai. Dubailand lies along the Emirates Road and Dubai-Al Ain Road. Only 10 minutes drive will take you to Dubai Airport and 20 minutes to Sharjah. The community is located in a close proximity to the International Cricket Stadium, Motor City, the Global Village, and Dubai Outlet Mall. There many places to go that fit all mindsets. 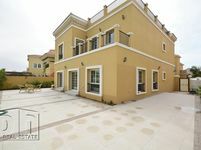 Check out Just Property to find multiple villas for rent in Dubailand with information and details included about each uploaded property. The contact information of all agents are also available for free, this way it’s very easy to find a residence. Just check and call.